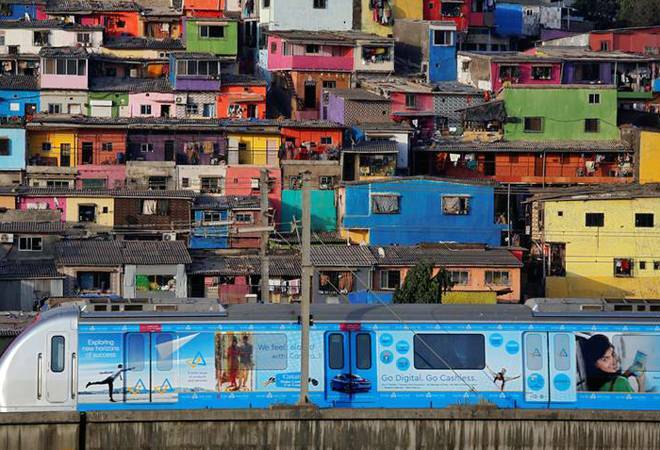 State-run BEML has bagged contracts worth Rs 3,015 crore for supply of 378 coaches for ADB-funded Mumbai Metro lines, giving a fillip to the Make in India campaign, the Department of Industrial Policy and Promotion (DIPP) said Friday. "Public Procurement (Preference to Make in India) Order bears fruit! Central public sector unit BEML bags contract for the supply of 378 coaches for Rs 3,015 crore for ADB funded Mumbai Metro Lines 2A, 2B and 7. The price per coach is the lowest in recent times," Make in India said in a series of tweets. This twitter handle is operated by the department. It said DIPP had first taken up a complaint of BEML about being technically disqualified and restrictive and discriminatory conditions against domestic manufacturing of metro coaches were changed. The Ministry of Housing and Urban Affairs played a proactive role in the structuring of eligibility criteria to remove wrongful conditions, it added. It said the committee of secretaries chaired by the cabinet secretary reviewed the implementation of the Public Procurement Order; emphasising on procurement from domestic sources only irrespective of the value of the purchase, wherever sufficient local capacity and competition exists. Under the order, it was envisaged that all central government departments, their attached or subordinate offices and autonomous bodies controlled by the Centre should ensure that purchase preference is given to domestic suppliers in government procurement. It also said that contract for metro coaches for Mumbai Metro line-3 project awarded to the consortium of Alstom Transport India Ltd and Alstom Transport SA, which will manufacture 100 per cent of quantity in India.